We are pleased to announce the launch of a new addition to our garden lighting portfolio – the Portobello. This discreet spiked garden light fitting is ideal to highlight your planting or pathways with a radiant 360° wash of light. Its unique design with a mushroom-like cap provides a warm, low glare illumination effect. The Portobello can also be used to subtly light foliage and low-level planting. 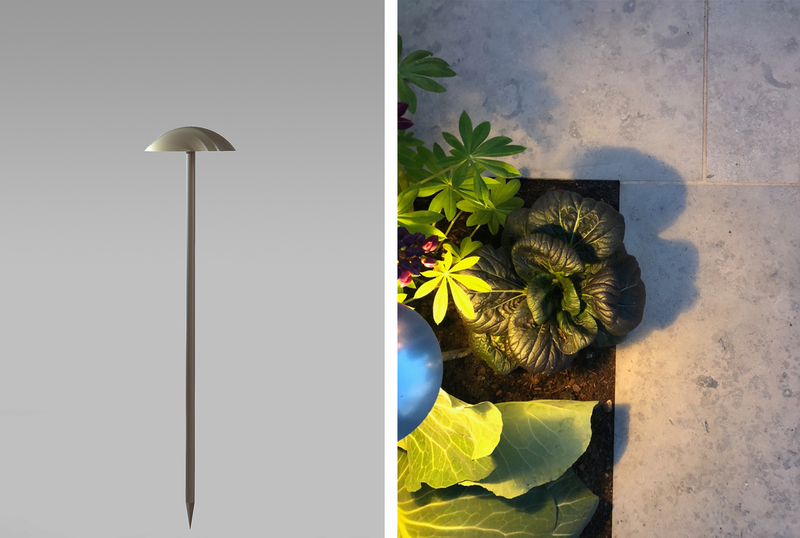 The exceptional design of the Portobello makes it disappear in the planting, matching John Cullen Lighting’s DNA of creating discreet fittings. 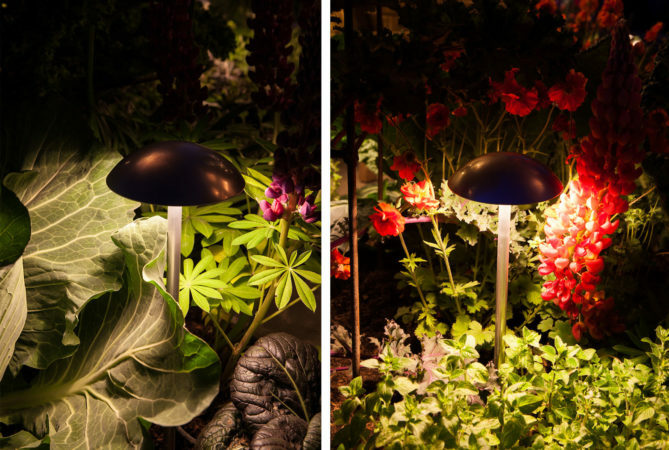 Using a 2W 2700K LED, it is an energy efficient way to add a soft illumination of warm white light to your garden. With a ground spike it is easy to install and can be used in conjunction with our range of spiked fittings including the Kew spotlight, Hampton floodlight and Carella Garden Candle. Once installed, the Portobello will become an integral part of your garden without the need of reinstalling it seasonally, as it withstands extreme temperatures. The Portobello is available in aluminium, black and olive green.